Fire burns at the site of an explosion at a bakery shop in Paris. Two firefighters died and nearly people 50 were injured in a massive gas explosion that gutted the ground floor of a building in a central Paris shopping district on Saturday, authorities said. 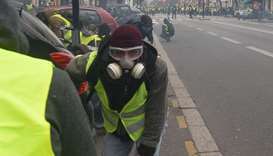 Just hours after the blast, thousands of yellow vest protesters marched noisily but peacefully through the Grands Boulevards shopping district of northern Paris, just a few hundred metres (yards) from the scene of the explosion. 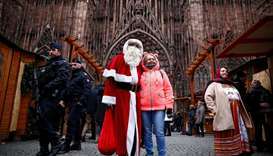 In recent years, France has suffered a string of deadly Islamist militant attacks in Paris, Nice, Marseille and elsewhere but authorities quickly ruled out foul play. 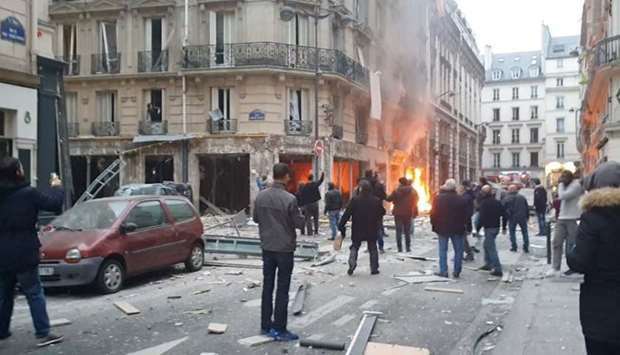 A police source said the explosion tore apart a bakery on the rue Trevise and witnesses said the force of the blast shattered nearby storefronts and rocked buildings hundreds of metres away. 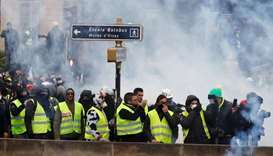 More than 200 firefighters joined the rescue operation and two helicopters landed on the nearby Place de l'Opera to evacuate victims. 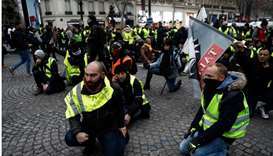 Ambulances struggled to access the blast area because of police barriers set up to contain any violence by yellow vest protesters. He said that as he approached the scene, a woman was crying for help from the first floor of a building: "Help us, help us, we have a child".